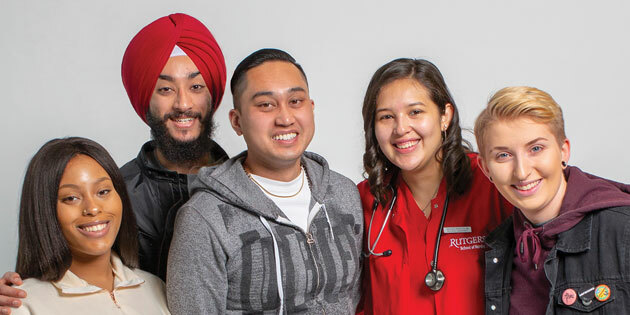 From left to right, students Nicole DuBose SBC’20, Karanveer Pannu CCAS’20, Robert Andrade RLAW’20, Yahoska Morales SNC’19, and Angela Wismar CCAS’21. Through the voices of students, the following stories explore the many ways in which diversity, inclusion, and equity are woven into the fabric of Rutgers–Camden. On my first day on campus at Rutgers University–Camden, I had myriad feelings. One was a slight fear deep inside that someone would hurl racial epithets as soon as they saw my turban. However, that fear never grew because my first day on campus felt like I was home. I saw and met students of all backgrounds, and I immediately understood that this campus takes its diversity seriously. Now as a political science major in my third year, I proudly talk about the diversity of Rutgers–Camden wherever I go. This campus really connected with me because of what I do outside of being a full-time student. 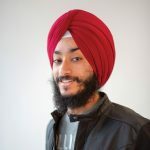 In my senior year of high school, I wrote and published a book, Bullying of Sikh American Children: Through the Eyes of a Sikh American High School Student. Since then, I have traveled the nation as a “bullying prevention specialist,” speaking at schools and conferences with the goal of reducing bullying while educating fellow Americans about the Sikh faith. 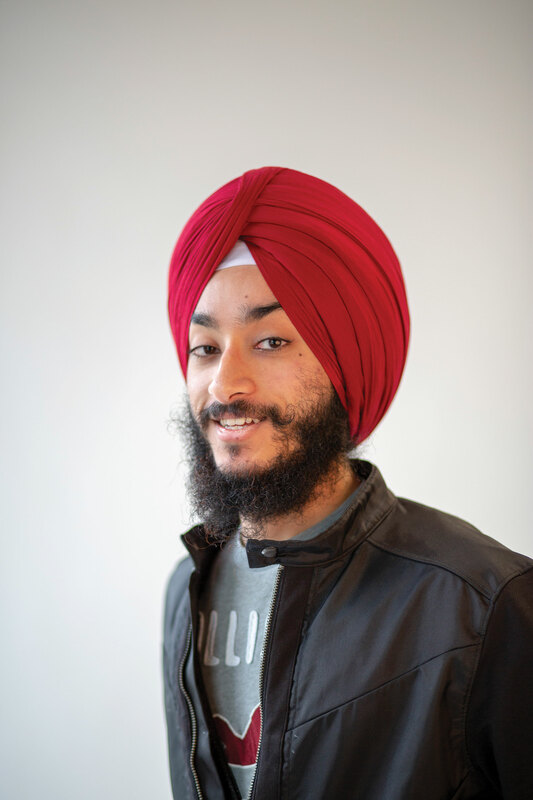 I’m also very involved with the Rutgers–Camden Sikh Students Association, which works to broaden the understanding of our religion in the campus community. Last year, I worked with the New Jersey State Police to educate officers about the Kirpan, a sword of varying lengths (often a small knife) that is one of the five articles of faith carried by formally initiated Sikhs. Intended to be a weapon of defense, it is often misinterpreted as threatening. With the support of New Jersey Attorney General Gurbir Grewal, I connected with State Police Colonel Patrick Callahan to make a video to educate police and the general public about my faith and the Kirpan. Being a Scarlet Raptor, I have learned that this institution is a place of inclusion and open dialogue. Values such as respect and community engagement are inculcated in students who attend by simply being in the campus atmosphere. Being connected with amazing faculty and students on campus has further motivated me to continue the work I do. Every day I grow prouder of having chosen to attend Rutgers–Camden because I see the desire of faculty and students alike to move beyond acceptance and tolerance with the goal of promoting love and inclusiveness. That is something that is very much needed in today’s society. I am confident that Rutgers–Camden will produce graduates who will rise to embrace diversity by combating hate and bigotry in their everyday lives. My parents emigrated from Nicaragua in the 1980s, and I was born here and have lived all of my life in North Camden. I’ve always known about Rutgers–Camden and I live very close to it. The diversity is vast. Because it’s a small campus, it’s like everyone has a family connection. I’ve always felt very welcome here. My first language was Spanish, as that is what we spoke in my home. I didn’t learn English until I went to kindergarten, but it has been my primary language in my education and work. 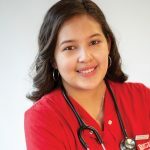 I was thrilled with the opportunity to take Spanish for Health Professions, a class that allowed me to polish my Spanish to use in medical settings. It led to an internship with VITALity Catholic Healthcare Services in Camden that allowed me to serve Spanish-speaking patients. The primary language of about 40 percent of Camden residents is Spanish, and I’m committed to providing health care for that population. The number of Spanish speakers in America will continue to grow, and I’m pleased to be a part of the university’s award-winning effort to ensure they can receive health care from someone who can communicate with them in their native language. It felt good to be doing work in my hometown, helping Spanish speakers get the most out of the health care system. Before starting at Rutgers–Camden, I attended Camden County College. 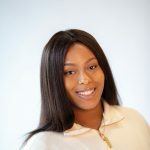 My younger sister, Tatiana, is also a student at Rutgers–Camden, studying health sciences. Knowing I am going to be the first in my family to graduate from college, I feel like that’s such a huge accomplishment for me. I am also proud to be a mentor for my sister and know that she will follow in my footsteps. Many people think that if you live in Camden, you don’t have opportunity. They don’t think that people in Camden turn out to be something. I feel like we are doing the complete opposite, and proving them wrong. 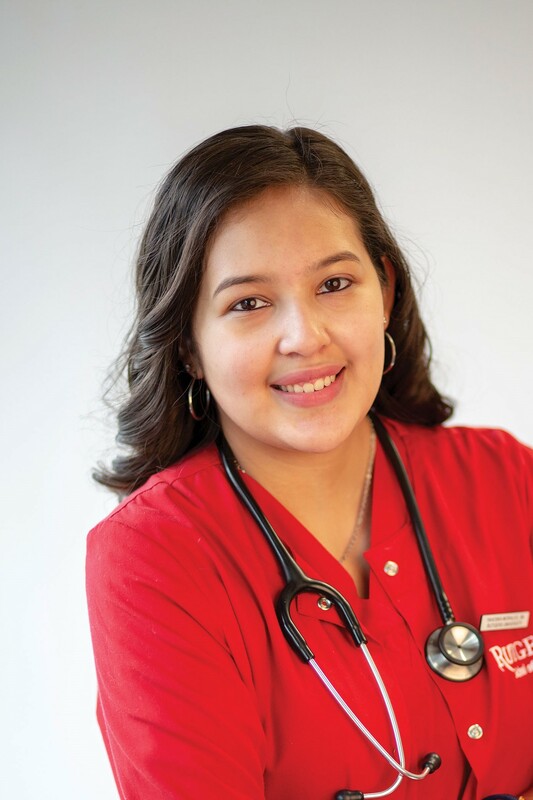 Yahoska Morales plans to graduate with a bachelor of science in nursing degree in May. The Spanish for the Health Professions certificate program, a collaborative effort between the School of Nursing and the Department of World Languages and Cultures, received a 2018 American Association of Colleges of Nursing Innovations in Professional Nursing Education Award. I’m from a very small town in South Jersey with a population of less than 10,000 people. Everyone knew everyone, and it wasn’t diverse at all. There were no gay people that I knew of, and very few people of color. I wanted to attend a college with a diverse mix of people. I liked the smaller environment at Rutgers–Camden because that’s something I’m comfortable with, but I also like it because it’s so diverse and the university takes pride in it. The diverse atmosphere is why it was my top choice. 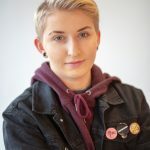 At first I was nervous about fitting in and being accepted on campus, but the more I involved myself and went to events, the more I realized that everyone here is kind of like a family. Toward the end of my first year I began working in the university’s Office of Diversity and Inclusion. A major project I’ve helped to organize on campus is the High School Empowerment Summit. We invite students who often come from backgrounds that are not very inclusive and they don’t have a safe space to express themselves. We had a variety of educational workshops, and we started with a drag show in the morning to get morale up. It’s a way for students who don’t have that space to express themselves to come to Rutgers–Camden and see how inclusive we are. If I had had something like that in high school, I would have come to terms with my own sexuality a lot sooner than I did. I’m also involved in many other programs initiated by the Office of Diversity and Inclusion, including Lunch and Legos, a conversation lunch group for LGBTQIA+ students that draws about 25 people weekly; gathering information for the university’s rating in the Campus Pride index, a national listing of LGBTQ-friendly colleges and universities; and an assessment of all bathrooms on campus to create signage for the ones that are gender-neutral. It feels good to know that I’m making a difference for the LGBTQIA+ community and helping to enhance the culture of inclusion on campus. Inclusion, which means accepting everyone for who they are regardless of their race or sexuality or religion, is very important to me. I’m happy to say it is important to Rutgers–Camden as well. 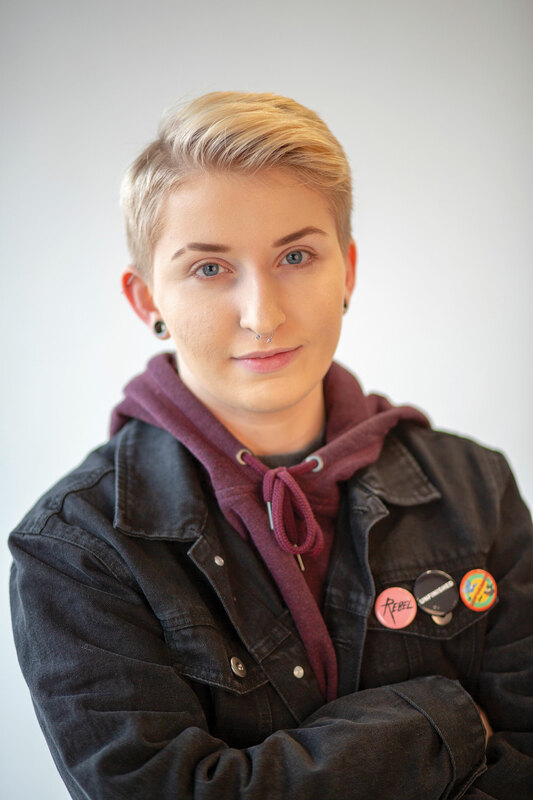 Angela Wismar, a sophomore majoring in psychology with plans to pursue a minor or a double major in gender studies, ultimately wants to start a career as a psychologist. 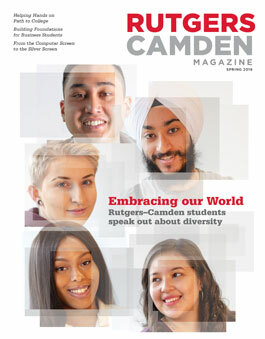 To learn more about the Office of Diversity and Inclusion where she works, visit inclusion.camden.rutgers.edu. 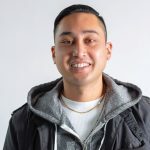 I grew up in a Filipino-American neighborhood in San Francisco. After attending the University of California, Irvine, for my undergraduate degree and working as a paralegal for two years, I realized I wanted a career in the law. I had planned on staying in California, but then I began looking at the value of Rutgers Law School. I was accepted at several schools, but the clincher for me was the school’s Minority Student Program. When I found out about the sort of resources the program offered, such as mentoring and tutoring and providing access to a network of minority attorneys, that was something that I couldn’t really pass up. Law school is very difficult, and there is a huge lack of diversity in the legal field. 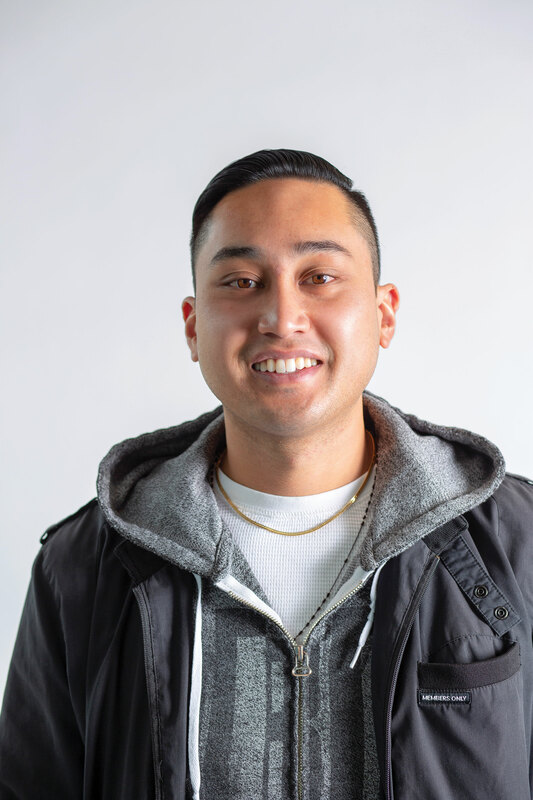 I was the only Filipino American in my first-year class at Rutgers Law School, but the Minority Student Program embraces people from all backgrounds. It’s allowed me to find a home away from home. I benefited tremendously from mentoring I received in my first year of law school. Now that I’m in my second year, I’m returning the support by mentoring first-year law students. Those of us in the program adhere to this notion of paying it forward through mentorship. I also have been active in student associations, including serving as vice president of our chapter of the Asian Pacific American Law Student Association (APALSA), which has involved me in projects such as participating in the Asian Pacific Voter Protection Rights Project, which was successful in registering voters in South Jersey and Philadelphia. I also do work with Alianza, the Latino law students association, which has a rich history at Rutgers Law School in Camden. Ultimately, I want to practice labor and employment law. I am drawn to it because you can connect with people and make sure they can keep what is most important to them, which is their job, so they can provide for themselves and their families. There’s a civil rights and human rights aspect to it that is very fulfilling. Robert Andrade is one of 70 students in the Rutgers Law School Minority Student Program in Camden. The program provides academic support, mentoring, and summer internship opportunities to diverse law students who are underrepresented in the legal field and to law students, regardless of race and ethnicity, who have overcome socioeconomic or educational challenges during their journey to law school. I felt welcomed at Rutgers–Camden the very first time I stepped on campus. This occurred in 2015, just before my senior year at Burlington Township High School when I attended the university’s summer BizEd program. The program was fun, and I learned about all the great opportunities that the School of Business–Camden had to offer. I was fascinated, and I enrolled the following year. As a student, I have participated in the Leadership Institute, which helped me explore campus and provided coaching events to help with student success. My participation enabled me to make friends and local connections even though I am a commuter. Through the encouragement from the Leadership Institute and opportunities presented by the Career Center, I landed an internship in my sophomore year with the Latin America Economic Development Association (LAEDA) that involved helping small businesses and future entrepreneurs in Camden, Burlington, Gloucester, Atlantic, and Cumberland counties. I learned much about the city of Camden through that internship. I also learned about the importance of business planning and client management. Currently, I am in a multiyear internship program with PricewaterhouseCoopers in Philadelphia. I also am an active member in the student chapter of the National Association of Black Accountants. When Oscar Holmes IV, the professor in my Organizational Behavior course, invited me to serve as a mentor to local high school students in the Rutgers University Student Executives program, I was thrilled to do it. I have benefited from much support at Rutgers–Camden, so I wanted to help others the way I have been helped. I mentored a young woman who was a senior in high school, helping her to explore majors and coaching her in a team project that developed a business plan. I also coached her on her presentation. It was a great feeling to teach someone in the same way that I was taught only a few years ago. I’m excited to be one of the faces that will diversify the world of business and to help others like me follow on that path. With the encouragement and education that I have received at Rutgers–Camden, I’m confident I can achieve success with endless possibilities! 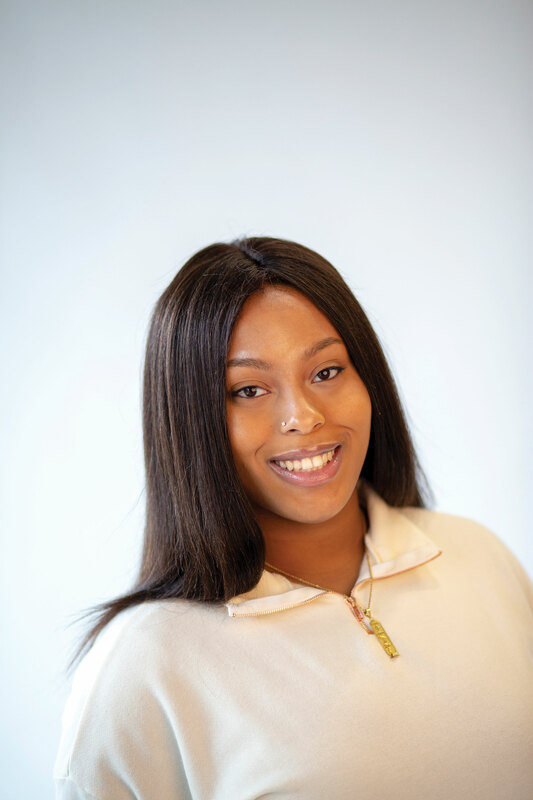 Nicole DuBose of Burlington Township, New Jersey, plans to continue mentoring in the Rutgers University Student Executives program, which gives high-achieving, underrepresented high school students an opportunity to get a taste of college life and learn about business topics.